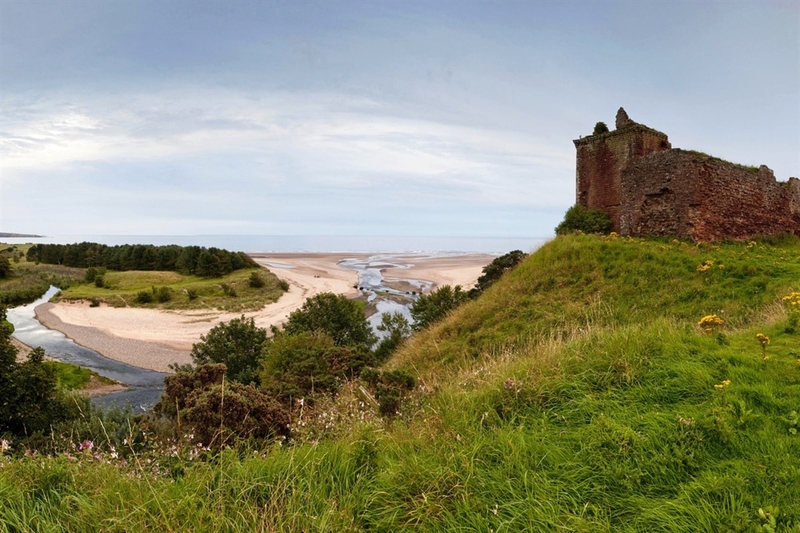 Lunan Bay has attracted many visitors throughout the ages, from Viking armies in the 10th century to generations of holidaymakers. 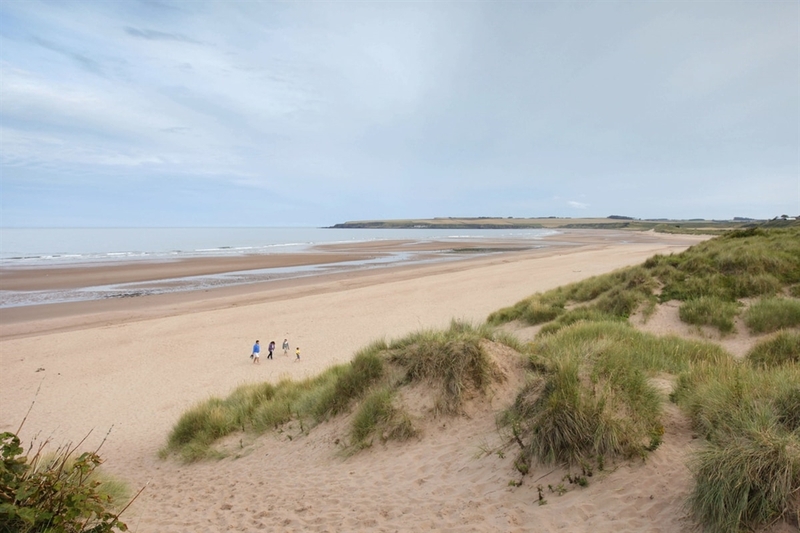 Today it offers a secluded haven on the dramatic Angus coastline. This stunning east-facing beach is backed by sand dunes and framed by low cliffs to the north and south. From its northern end at Boddin Point, located about three miles south of Montrose, Lunan bay extends two miles south to Ethie Haven. The crumbling ruin of Red Castle stands on elevated ground overlookingthe Bay and dates from the 12th century. Originally built for King William ( the Lion) of Scotland to defend against Viking invaders, all that remains of this once formidable fortified house is part of the 15th century rectangular tower and the curtain wall. The beach is a popular destination for surfers and horse riders, and traditional fishing is still practiced here with nets strung on poles dug into the sand to trap fish in the receding tide. The beach is also a fantastic place to go bird watching with several fantastic species to spot. After a storm, the sands sometimes yield agates and gem stones which glimmer in the sunlight. The best access to the beach is found via the car park at its rear. 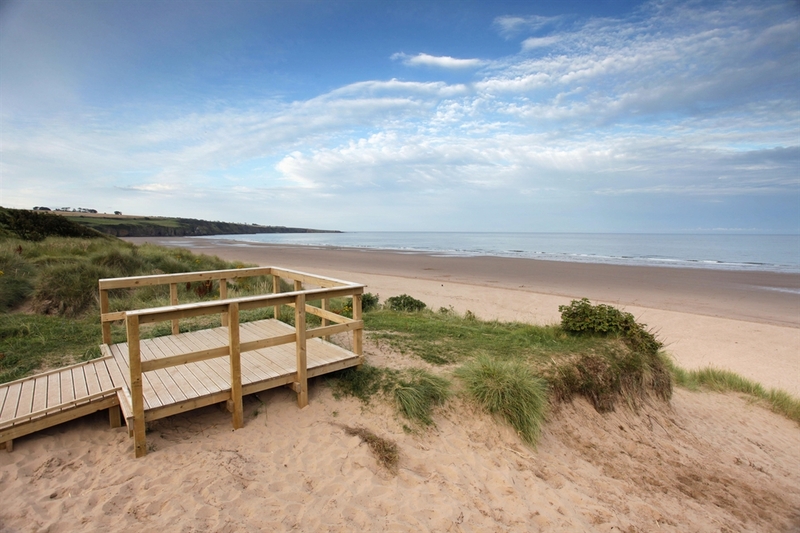 Lunan Bay can be found to the north of Inverkeilor on the A92 between Arbroath and Montrose. Once in the village of Lunan turn left then right, following a sign for the beach down a private farm road.